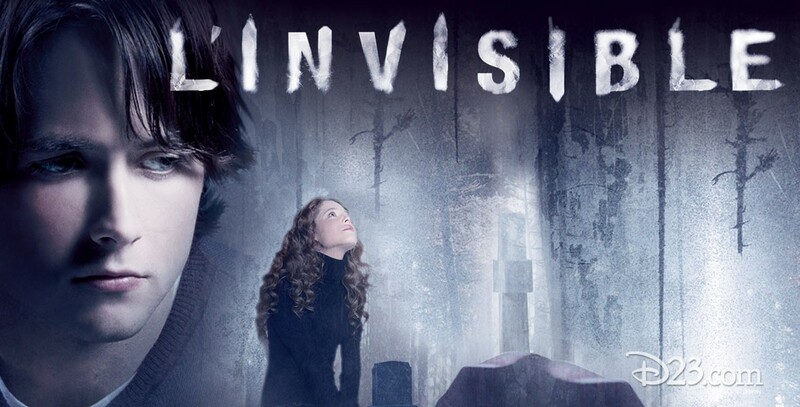 Invisible, The (film) By mistake, a high school senior is attacked and left for dead in a forest, but his ghost appears and starts shadowing the people who attacked him, led by a feisty and angry girl who is an outcast in the school. He also visits his family and best friend, trying to clue them in as to where to find his body and save him, though of course he is invisible to them and they cannot hear him. He comes to realize that his widowed mother really loved him, even though they constantly fought and she did not accept his desire to go to London to study writing. A Hollywood Pictures/Spyglass Entertainment production. Released on April 27, 2007. Directed by David S. Goyer. Stars Justin Chatwin (Nick Powell), Margarita Levieva (Annie Newton), Marcia Gay Harden (Diane Powell), Chris Marquette (Pete Egan), Callum Keith Rennie (Det. Brian Larson), Alex O’Loughlin (Marcus Bohem), Michelle Harrison (Kate Tunney). 102 min. Filming took place in Vancouver. Based on the novel Den Osynlige by Mats Wahl and Swedish film of the same title.